What should I do to avoid permanent stains on my garments? Bring a garment in for professional cleaning as soon as possible after staining occurs. Stains and soil left too long can be impossible to remove and will shorten the life of your garment. Discuss any stains with your cleaner. Be especially sure to point out light-colored or invisible spills, such as those from soft drinks, fruit juices or white wine. Allow perfumes, lotions, deodorants, antiperspirants, and other toiletries to dry before you get dressed since these products can contain ingredients that affect dyes. Don’t press stained or soiled clothes. The heat may set some stains. How do I avoid fabric discoloration? Have matching pieces cleaned together, including bedspreads and drapes so that any possible color loss will be uniform and pieces will still match. Protect your garments from prolonged exposure to direct sunlight or strong artificial light. Keep in mind that even indoor lightning can affect some dyes. Why do you wrap my garments in plastic? Plastic bags are provided to protect your garments until you get home. Once there, it is best to store your garments uncovered or in fabric garment bags. You can bring the plastic bags back to any Pilgrim Dry Cleaners location to be recycled. Do you recycle wire hangers? Yes! You can bring your hangers into any of our Pilgrim Dry Cleaners locations and we will recycle them for you! No! 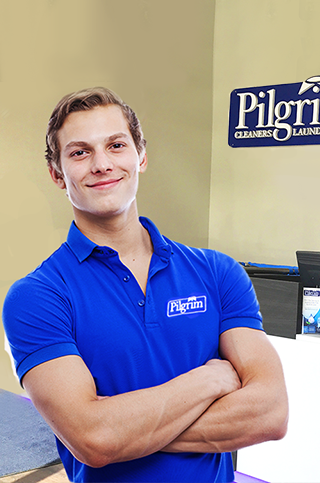 Pilgrim Dry Cleaners uses only safe, environmentally friendly, green cleaning agents in our dry cleaning process! Why don’t you have prices on your website? Pricing your garment is done after it has been carefully inspected by our staff, because we need to read the care labels to determine the proper cleaning method recommended for the garment, examine the fabric content, and any other specifications of your item; so we can accurately price and properly clean your garment. If you would like to know pricing before you leave your garments, please ask our knowledgeable staff to provide you with an estimated quote. 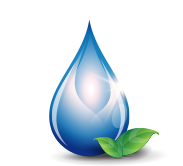 Our prices are competitive with other premium, environmentally friendly cleaners in our area and we offer additional value by not charging extra for same day service, pickup & delivery service, stain removal, button repairs, special packaging, & more!